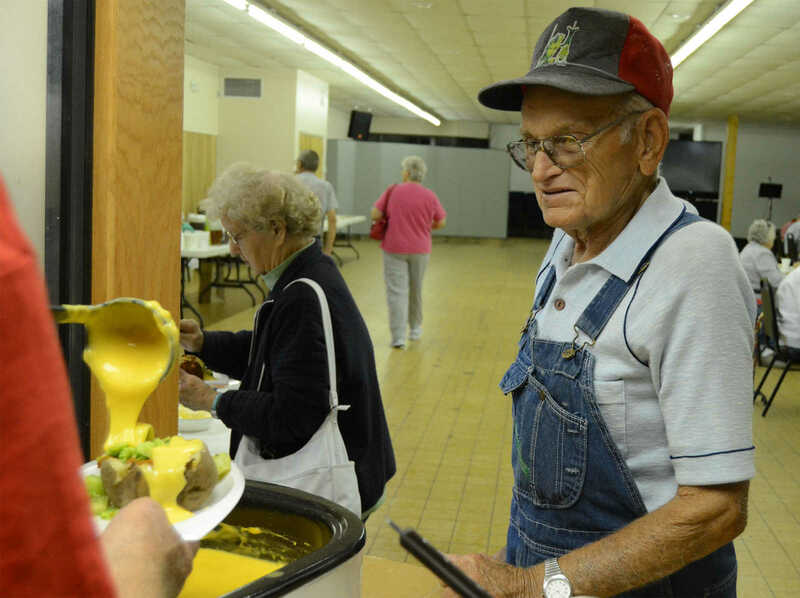 George Kuhlman gets plenty of cheese on his potato at the Habitat for Humanity's potato luncheon at First Christian Church on Wednesday. 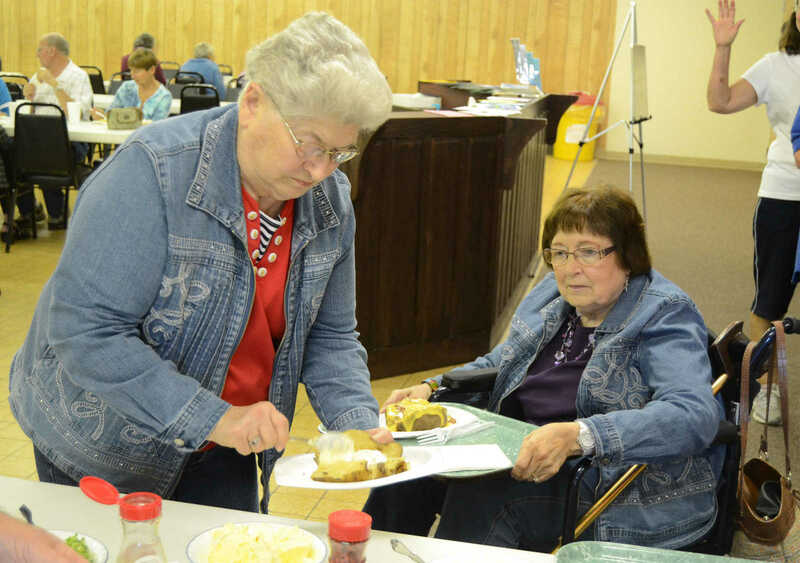 Shirley Heathman, left, and Pauline Page get all the fixins at the Habitat for Humanity's potato luncheon at First Christian Church on Wednesday. 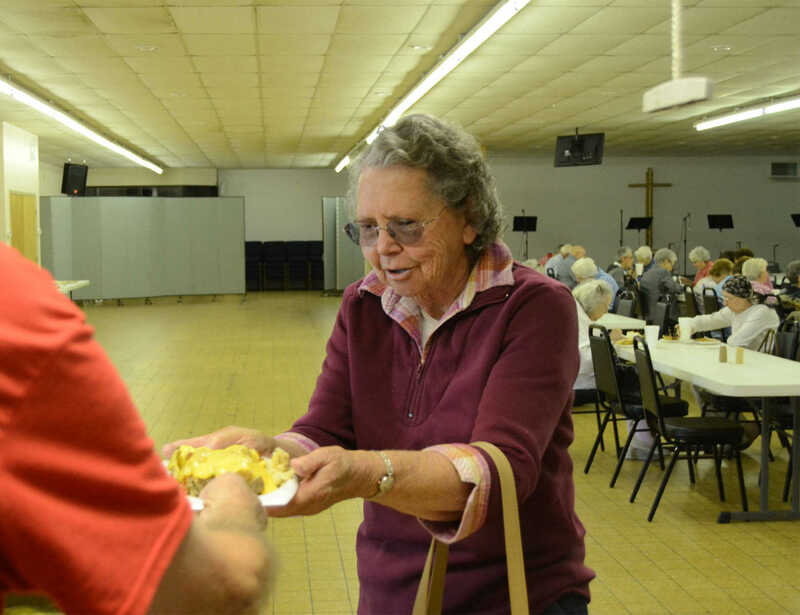 Amma Hastings picks up her potato at the Habitat for Humanity's potato luncheon at First Christian Church on Wednesday. 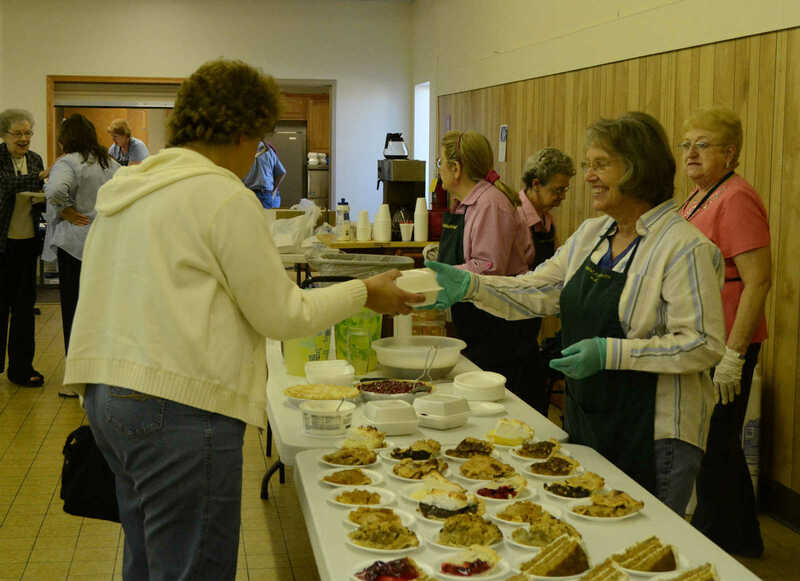 Alice Boehs, right, gives Mary Love Guthrie a slice of pie at the Habitat for Humanity's potato luncheon at First Christian Church on Wednesday. 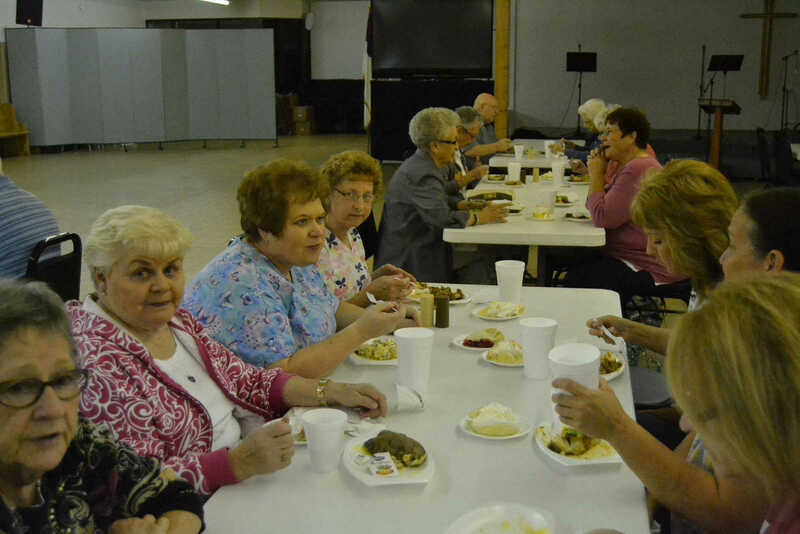 People gather to enjoy potato and pie at the Habitat for Humanity's potato luncheon at First Christian Church on Wednesday.